One of Penn’s star-studded wrestlers is headed to Wabash College. 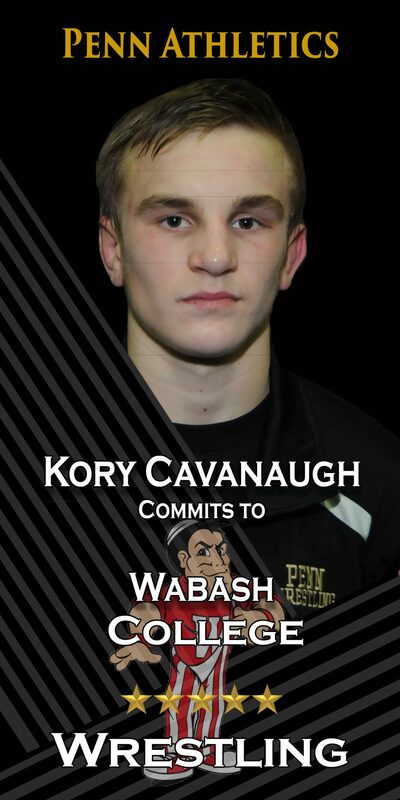 Senior Kory Cavanaugh is headed to Wabash to continue his athletic and academic career this fall. Over his career, Cavanaugh is a three-time State Qualifier and a two-time State Placer. He is a three-time NIC Sectional and Regional champion, and has cemented himself into Penn Wrestling history. Cavanaugh expects to continue his success from high school to college and enjoy the experience as a whole.